The use of antiquities in films and television shows, as well as ads, etc. has been something that I have been thinking about for a few years. Stemming from a discussion I had with my MPhil supervisor, I’ve been both noticing the artefacts and trying to figure out exactly what they are meant to project. I guess it is pretty straightforward. For the most part, antiquities cameos tend to be Greek/Roman/Egyptian to project the standard pop idea of wealth display or decapitated Buddha heads for a more modern, worldly, wealth display. Latin American antiquities usually don’t get a lot of play, perhaps because most people viewers wouldn’t instantly recognize them. A rare exception that I ran across yesterday was the 1953 Marilyn Monroe/Lauren Bacall/Betty Grable romp “How to Marry a Millionaire”. 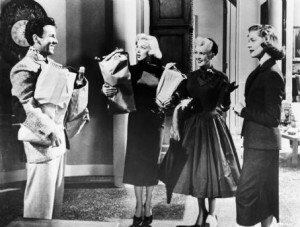 The basic premise of the film is that the trio rents a lush furnished flat in New York as a launching point for their collective goal of marrying millionaires. The place is decked out, top to bottom, in Latin American antiquities. From pots to stone sculptural pieces, the apartment’s style is ancient Americas. The question is, of course, why? Why does collecting Latin American antiquities = being a millionaire? Two words: Nelson Rockefeller. 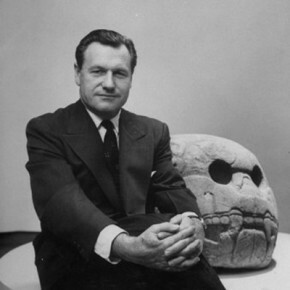 In 1954, a year after the film was released, Nelson Rockefeller founded the Museum of Primitive Art and donated his antiquities collection to it. Housed in a townhouse on West 54th street, the museum opened to the public in 1957 and shut its doors in 1976 when the collection was transferred to the Metropolitan Museum. “Primitive Art”, of course, is defined as the art of Africa, Oceania and the Americas. Rockefeller was particularly interested in the Latin America part of the “the Americas”. 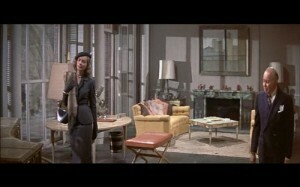 I couldn’t find very good stills but check out above the fireplace. 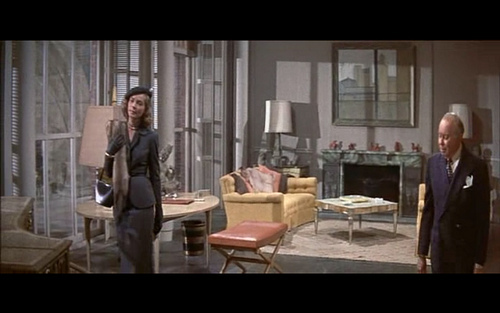 The ladies in the film specifically say they would like to marry “a Rockefeller”; THE Rockefeller was openly and happily collecting Latin American antiquities, presumably displaying them in his home(s); and the designers of the film set were projecting a sense of new, hot, New York City wealth by putting “Primitive Art” on display. No stuffy old Greek stuff, these girls were set against the backdrop of the “new” collector. I found myself wondering if the objects in the film were real antiquities. Was there much of a fake industry for Latin American stuff in 1953?